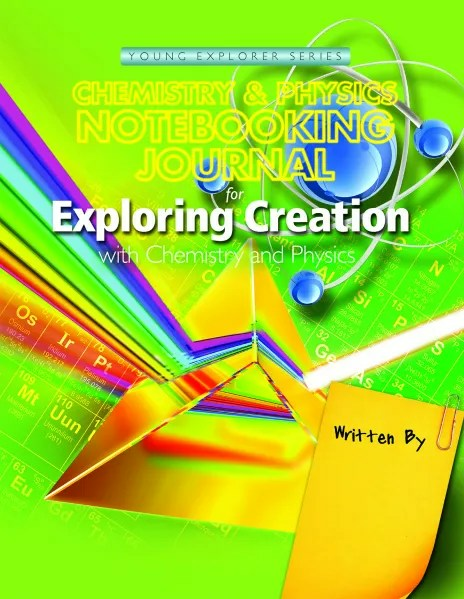 Exploring Creation with Chemistry and Physics Notebooking Journal . 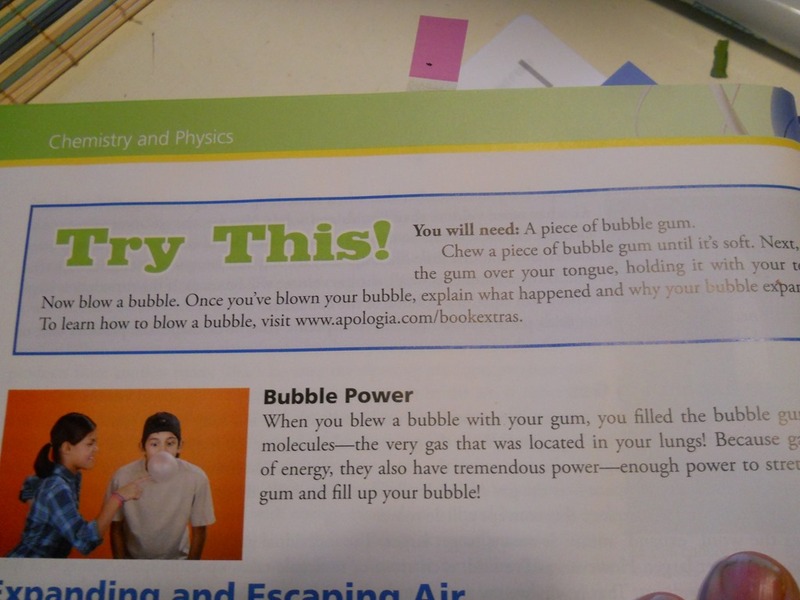 I was actually pretty surprised when we received the acceptance to review this science resource. As you may have figured out from the last several years of following us, I’m not really a ‘science curriculum’ type of a gal. It makes me ill. Hard to explain. The boys come up with so many questions, that we are constantly on the hunt for answers. We have a large shelf of science resources in the classroom and use them collectively. When we lived in towns with co-ops, many of my friends used Apologia for science. Big, hardbound, books in the hands of tiny little eager students. It felt like public school for homeschool groups. I resisted. Hard. But this is our last year, after the last really, since my youngest is in the 7th grade. These are made for K-6 students. 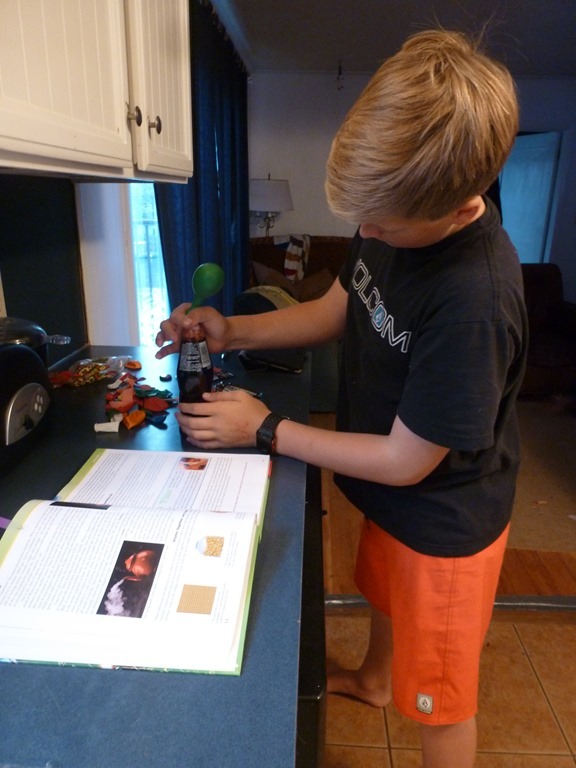 I had purchased a Charlotte Mason type of Chemistry curriculum for my son. It was too open ended. Living books are great, but the child still needs a bit of direction. My oldest son is in Chemistry for his 10th grade year and I thought it would be fun if we were all on a similar page of learning. I wrote to the Schoolhouse Review Crew and stated just what I did above. That I have no reason to like Apologia, but, as a last resort, I’d love to at least see what the hubub is all about, and be informed. All I can say, after using this product for several weeks now, is that – I AM SO SORRY that I made negative opinions about this product. If you have ever seen me roll my eyes or give an ignorant reply about the product – I take it back and apologize. What we found out, is that this product is directly, on purpose, written to the Charlotte Mason style of learning. If I had spent a half a moment on their website I would have seen that. I knew that they came with the Notebooking pages, but I thought it was just the company’s way to make more money off of silly homeschool families. Well. Now I R 1. Don’t let the hardbound curriculum style book fool you. This is very much a living book, written by Jeannie Fulbright to your child directly. She starts off from the first words sharing her direct first hand passion about Chemistry and Physics. This is definitely a God centered, creation centered Science book. You can just hear her heart shine through the pages. She is a water sport lover, and my son caught on to that in a few of her references. I liked it from the first page, because she has done everything for us. Like a friend who wrote it all down. I’d say she and Barb (Handbook of Nature Study) must be lost soul sisters. 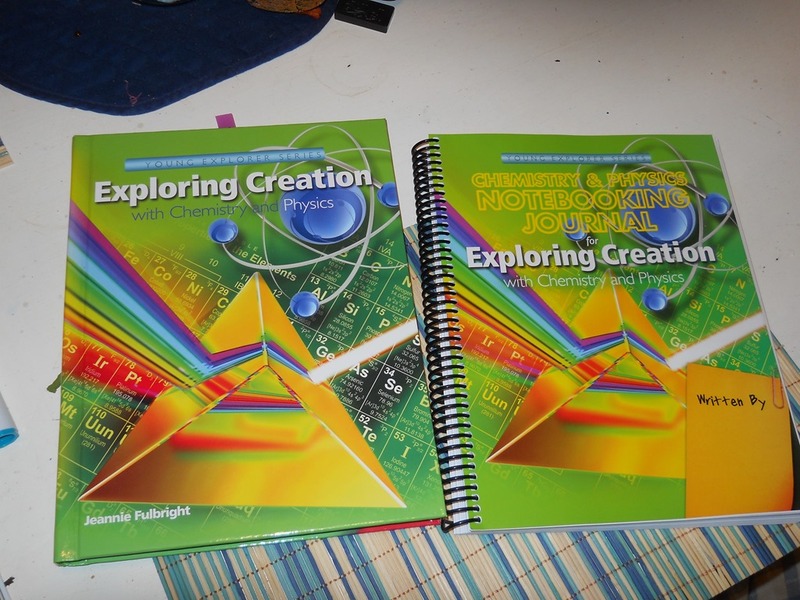 The Exploring Creation with Chemistry and Physics Notebooking Journal comes with the lesson plans. Two days a week, could be split into 4 days with younger kiddos. She very swiftly writes out how many pages to read, then directs you to the NJ – the Journal to work out some of the information taken in. 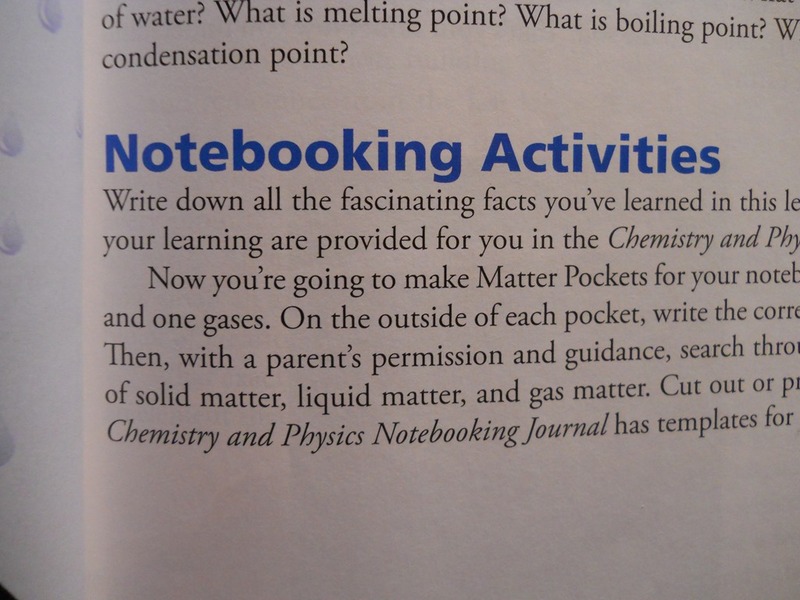 There are lapbook type activities, labs, writing, and even some quiz type pages. You seldom read more than 2-3 paragraphs before coming to the Try This! section. In some of the sections, like below, there is an extra reference to the Book Extras on the website. The book gives the code to log in and find videos, photos, games, and extra information. There are Book Extras for each chapter to make the text jump out even more. 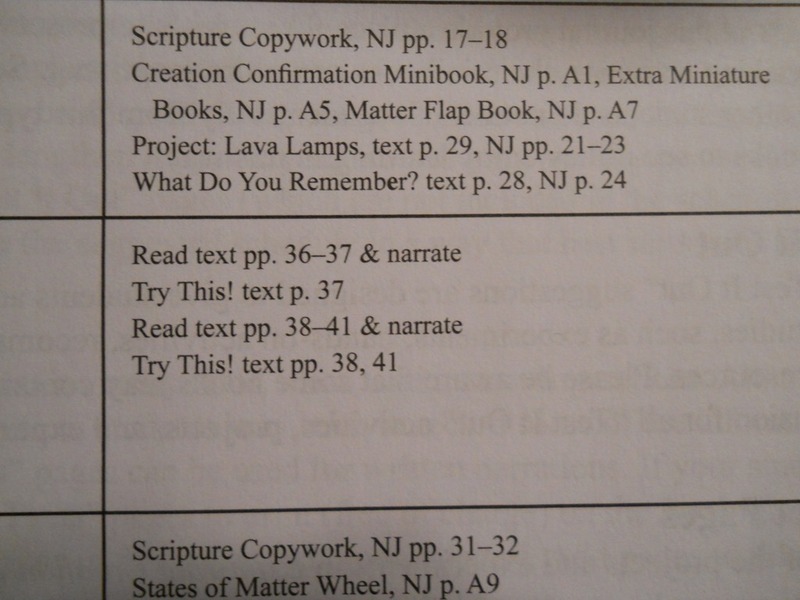 In the text, there are Notebooking Activities given. If you have the Notebooking Journal, then it is super easy, otherwise, it is simple enough to follow their ideas on your own notebook. However, we are busy, older grades and lots of activities. Why reinvent the wheel. Yes, I can make my own pockets, but why. We like the reinforced vocabulary games. This is where I can figure out which words Jon is really familiar with. We had to look a few of these up. The vocabulary words are bold in the text. 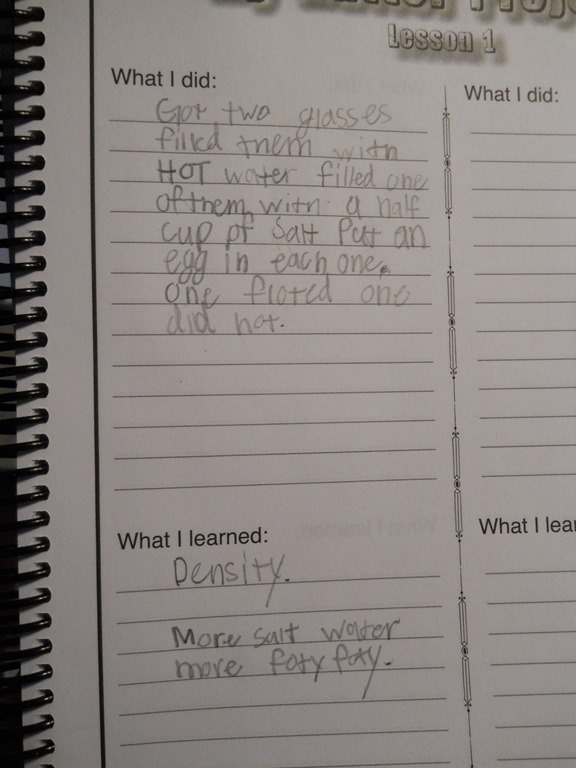 When we were studying about density, Jeannie has us try an experiment floating eggs in water and salt water. This was a great idea for Jon, as he is aware of the difference between floating in the lake and in the Ocean. She had his attention. She says, “Density is how much mass in a certain volume of matter. Does that make sense?” Out loud Jon says, “No.” I giggled cause her next line is – “I’ll try to explain so that you understand.” There have been many times that it felt like Jon and Jeannie Fulbright were in the room together having science class one on one. We are finishing up Lesson 2 right now. 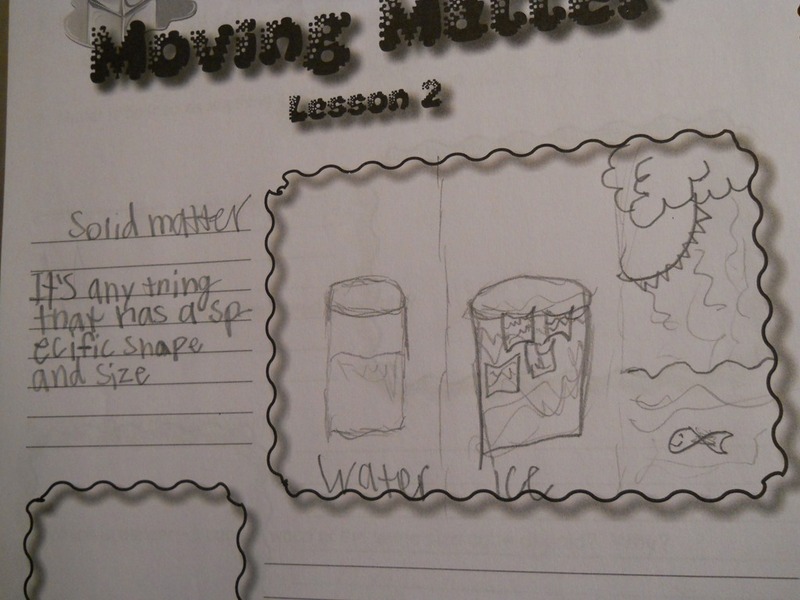 We learned about the physical properties of Matter, and now we are learning about the states of matter. I answered a question wrong this week. Asked if everything had a melting point and I said no. Then thought about it and said yes. We learned about freezing and melting points. A week ago, I would have given 32 degrees as a freezing point. Now I know that the freezing point is when a liquid becomes a solid. Not when a liquid freezes, like ice. I had a visual of freeze tag. Freeze! And all of those atoms stop – and are solid, unmoving. Jon had a fun time playing with his surfing wax this week, he likes to use it like clay. Out of the wrapper it is hard and unbendable. Intended to scrape over a surf board. But in his hands, it warms, and becomes soft and pliable. He learned that he could take a heat gun to it to remove it from the board, or to drip suction cup type droplets back onto his board. Now he has the vocabulary for melting point, solid, etc. We had a great conversation in the car about this. One morning while I was at Bible study, I received a text requesting Pepsi, Pop Rocks and a bag of balloons. 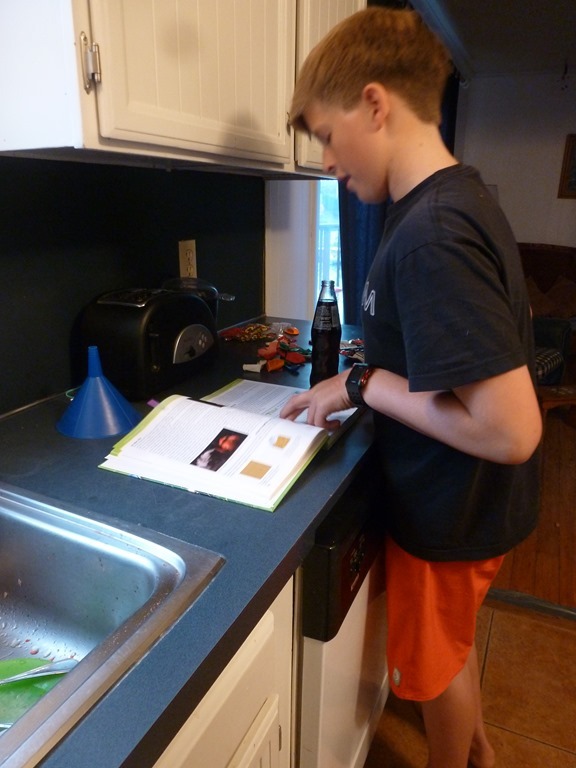 Jon was able to read the book on his own and work out his own experiments. 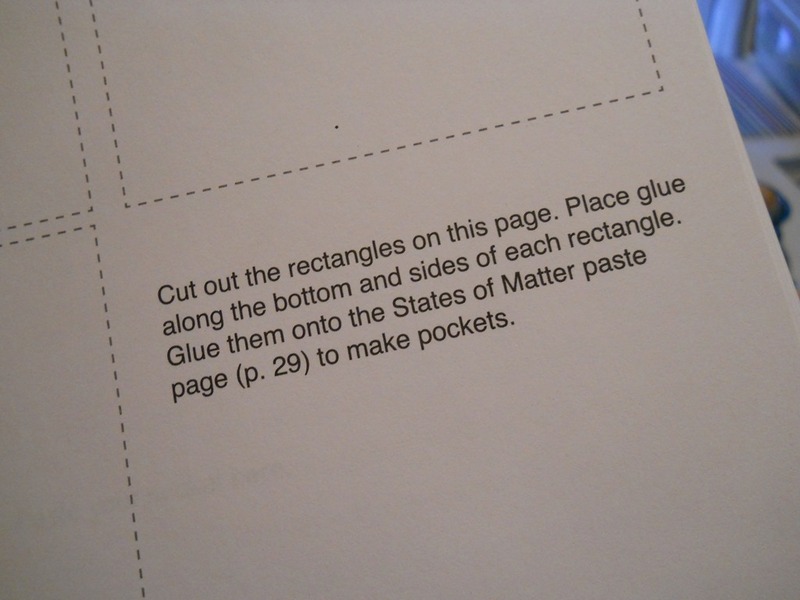 He is in a 7th grade level, but I think that many older reading kids could do this simple enough. He wasn’t too thrilled with the results. The balloon did inflate, but not as much as a tennis ball. We love the conversational style of the reading. We love all of the broken up pages filled with examples that Jon could understand. I liked that all of the science experiments are in the book and I don’t have to comb my resources to find a lab that explains the text. 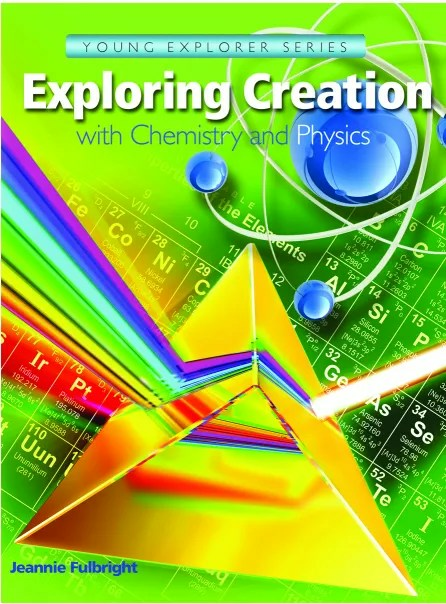 On the webpage, Exploring Creation with Chemistry and Physics, there are links to sample pages, TOC and list of lab supplies. So far, except for Pepsi and Pop rocks, the supplies have been in our home already. 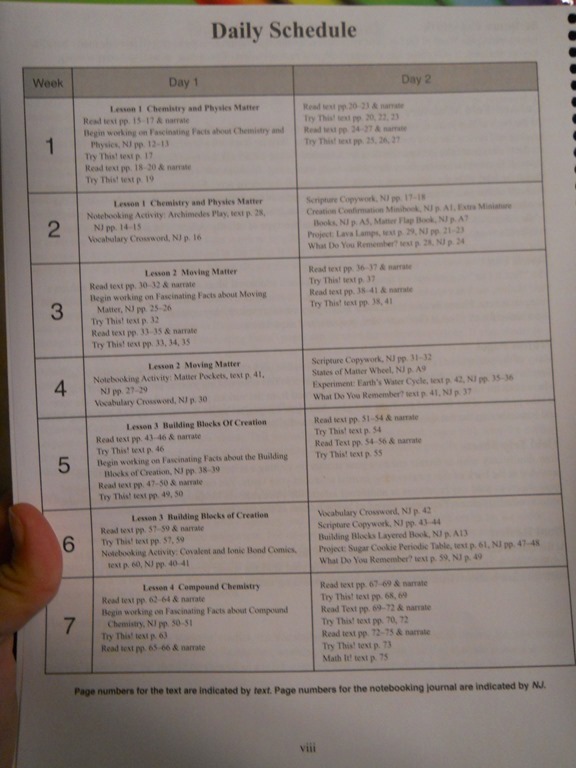 The Supply List is also in the back of the book, chapter by chapter. The Answer Key and Index is also in the back. You could use this book as an excellent homeschool science resource for your resource shelf as well. I was blown away by all of the Notebooking references. Which is silly, since there is a Notebooking Journal sold separately. Duh. There are two pages in the front of the book letting you know the why of using notebooking and narration instead of the standard curriculum Q & A or worksheet style reviews. I visited my co-op friends and had it out with them. WHY? Why had they not told me, made me, forced me to use Apologia when the boys were younger. We would not have had to reinvent the wheel with science. I thought the fun projects, displays, experiments and such were because of the moms leading the co-op. I thought that they were making the most out of a curriculum package. I had no idea that they were just following Jeannie Fulbright’s fun ideas. There is a direct focus on teaching the young students an introduction to chemistry and physics. They want the kids to know that God made everything in the universe – the matter matters.. This introduction covers atoms, molecules, simple chemicals, laws of motion, electricity, magnetism, and simple machines. We were also received the Junior Notebook – perfect for lower elementary kids, with more coloring pages and easier copywork pages and still loaded with fun experiements. If you, like me, steer away from these products from your ‘curriculum fobia’, I give it a thumbs up, a huge smile, and offer my regret for not doing these since the little lads were tiny. 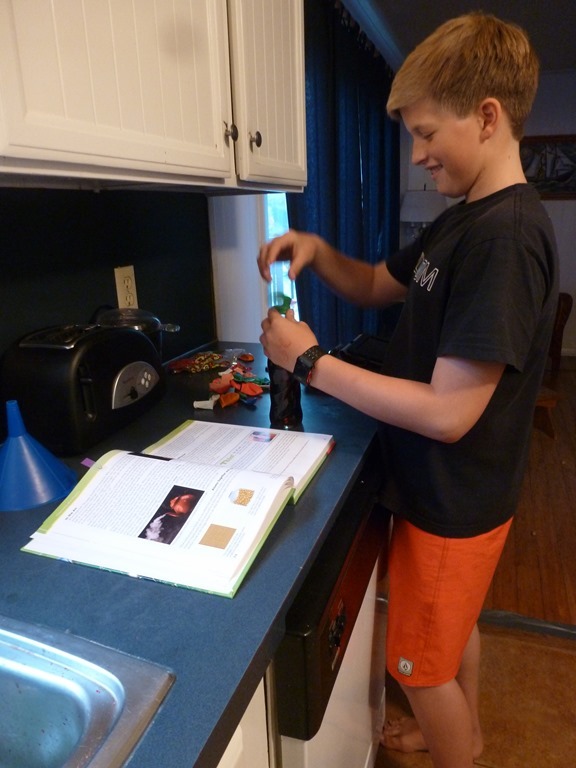 In the 7th grade, years of science projects later – and their crazy joy of explosions, we have done quite a few labs in the book. Jon has found 1-2 that he wants to do each week. Why make science hard? Why reinvent the wheel just to be an unschooly type? I have never done this in a review – but I personally want to thank Jeannie Fulbright for writing this Young Explorer series, and thank Kate and Deb for knowing that I would love this product. I am most thankful. 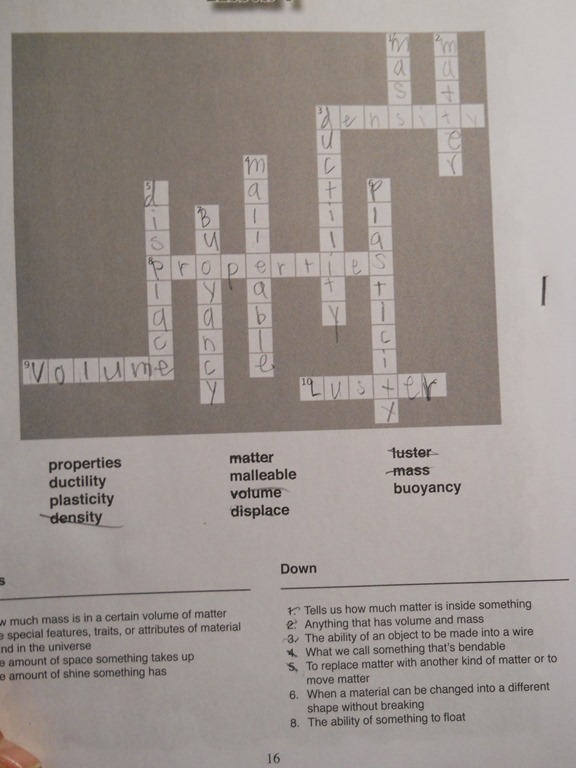 This entry was posted in Reviews, Schoolhouse Crew, Science and tagged Curriculum, HomeSchool, hsreviews, resources, Science. Bookmark the permalink. Most amazing review! I love their K-6 series. Emma’s still working on Anatomy on her own. Our love affair with Apologia ended though when we hit the upper levels. Really? You’ve never used Apologia?? I.am.in.shock. We already have 3 of the books and we love them!! We haven’t gone through all of them yet, but we will. The first year with Astronomy I did not purchase the Notebooking Journal, with Zoology I did & really liked it so I went back & bought the Astronomy one.